When it comes to the world of boxing, there have been many films and documentaries that have been released on the violent sport. 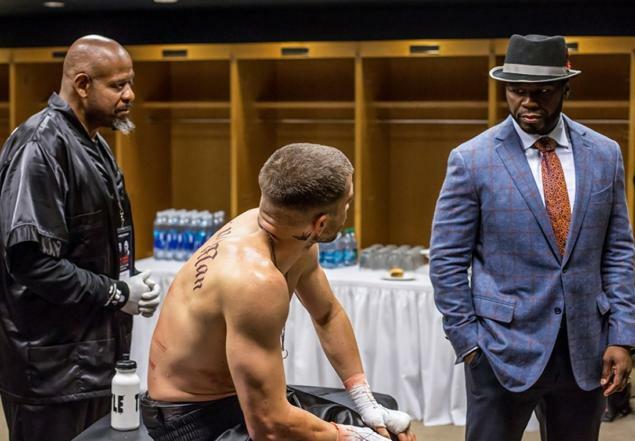 Some of the movies have done so well both financially and critically, that they have taken home more than one Oscar, and dare I say it, this new boxing film, ‘Southpaw‘ is the best boxing movie since Sylvester Stallone put on boxing gloves in 1976 and put on one hell of a show against Carl Weathers in ‘Rocky‘. 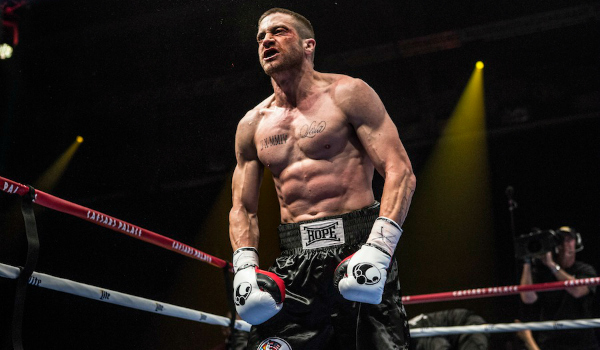 Despite its minor flaws, ‘Southpaw‘ is an amazing film from top to bottom. 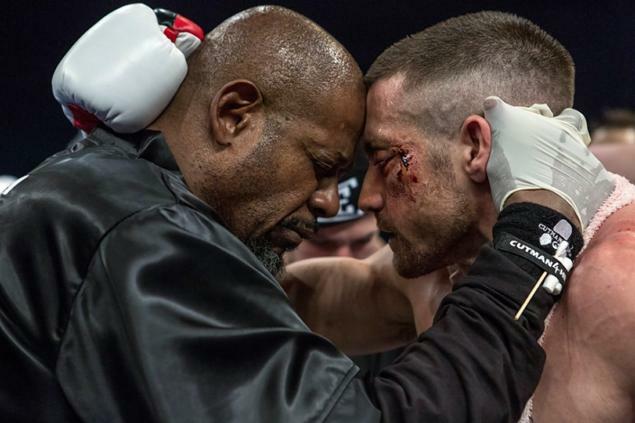 Director Antoine Fuqua (‘Training Day‘) has perfectly transformed Jake Gyllenhaal into a scary, muscular, bloodied monster of a fighter, who you would never want to step into the ring with. Along with Kurt Sutter’s (‘Sons of Anarchy‘, ‘The Shield‘) screenplay, this story of a prized fighter who loses it all and tries to get back on top is one you won’t soon forget. Oddly enough, this film was supposed to be some sort of followup to ‘8 Mile‘ with Eminem playing the lead role, but Eminem chose to focus on his music career more than star in this film, which Gyllenhaal took over and did a phenomenal job. Gyllenhaal plays Billy Hope, the current Boxing Champion of the world who has never lost a fight. By his side since his humble beginnings from the orphanage he grew up in is his wife Maureen (Rachel McAdams), who is not only his lover and best friend, but also his manager. The two live an ultra luxurious lifestyle on the outskirts of Manhattan with all the cars and toys you could ever want. Their lives are made better by their 11 year old daughter Leila (Oona Laurence). Billy Hope and his family are on top of the world. Even Billy’s promoter and business manager (Curtis Jackson) seem to be making him more money and booking more fights for him, despite Maureen’s pleas for him to retire so he can keep from getting injured seriously and be there more for Leila. Unfortunately, there is a terrible tragedy that leaves Billy homeless, penniless, and childless. One of the main flaws of the film is that Billy’s downfall happens way too quickly. He literally loses everything all at once, which doesn’t make any sense, considering how wealthy he is. It seems like everyone has turned on Billy, and now he must try to be a better father in order to get his little girl out of the hands of the state. This is where he meets Tick Willis (Forest Whitaker), a local boxing coach in a bad neighborhood, who gives him a job cleaning up the gym after everyone leaves. When an opportunity arises to fight the current champ Miguel Escobar (Miguel Gomez), who is also responsible for Billy’s downfall, Tick trains Billy for one last fight for the title. This really isn’t anything fresh or new story-wise, as we’ve seen this countless times before in other films, no matter what the sport is. However, with Sutter’s script and Fuqua’s brilliant eye for camera shots, this film seems brand new. Each performance is spot on. McAdams is fantastic and genuinely loves Billy, not just for his money and success, but for who he is, and it shows through McAdams’s eyes and movements. Whitaker is also fantastic as the older crotchety boxing coach, who loves giving second chances. But the real star here is Jake Gyllenhaal. I mean, you don’t see Gyllenhaal on screen, you see a new person named Billy Hope. He’s virtually unrecognizable as the muscular and bloodied, ferocious monster he becomes in the ring. When outside the ring, you see his nurturing side, which he is consistently trying to improve. Needless to say, his performance here definitely deserves an award. With fantastic fight sequences that will make you squirm, some great dramatic and emotional moments, as well as a score by James Horner and new songs from Eminem, ‘Southpaw‘ is one film you should not miss. This entry was posted on Tuesday, July 21st, 2015 at 1:07 pm	and is filed under Film, News. You can follow any responses to this entry through the RSS 2.0 feed. You can skip to the end and leave a response. Pinging is currently not allowed. « ‘Holliston’ Finds New Network For Season 3 at GeekNation!!! It's not about winning or losing. It's about passion. You know what I mean, Jack. Not really, Bernard. I think personal competitive drive is the essential key that makes America what it is today.